The 2011 Tour of Hainan International Regatta will kick off from March 20 to 26 in south China’s Hainan island, attracting 17 sailing boats and 220 sailors from home and abroad. Besides the Chinese sailors, others come from Britain, France, Australia, the United States, Finland, Denmark and Norway. They will compete for the prize money of 200,000 yuan. According to the schedule, the 17 sailing boats will start from the capital city of Haikou on the morning of March 21, sailing by way of Yangpu and Dongfang city, and finally arrive at Sanya, the southernmost city of China. The whole journey covers 269 nautical miles. Chen Yajun, deputy director of Hainan Provincial Culture and Sports Bureau said the regatta would promote the sailing and sailbording level of Hainan and make the connotation of the International tourism island more varied and colorful. 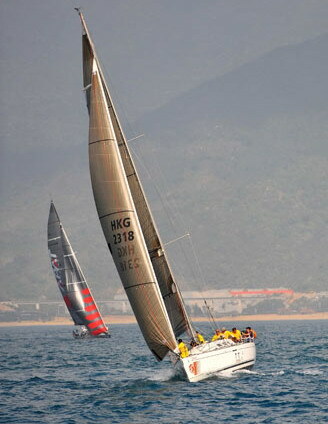 The 2011 Tour of Hainan International Regatta is sponsored by the State Sport General Administration of China and Hainan Provincial government. This site contains materials from other clearly stated media sources for the purpose of discussion stimulation and content enrichment among our members only.